It is a great storytelling performance props, props to make the game, the kindergarten and family necessary. 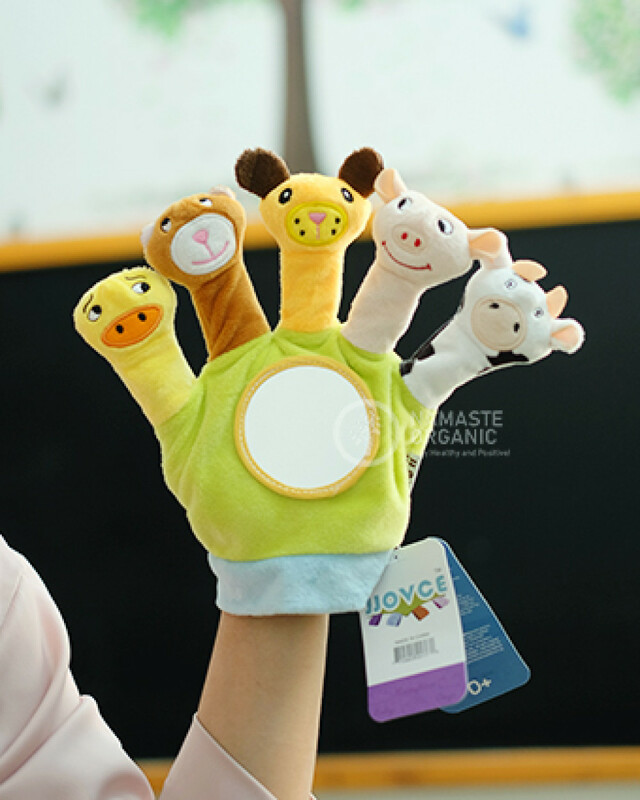 This lovely and nicely handmade puppets has so life-like face that you can't help hug it.Animal pattern design with bright color,easy to keep the baby's attention. 2 different colors for choice: Green and Red. Package Includes: 1× Animal Doll Glove. This hand puppets makes it easy for children and adults to play together. High quality soft velvet plush,make a supple feel for kids. Very cute cartoon hand puppet , colorful, delicate work. Glove has five roles, so you tell a story more vivid and attract children. Pretend as different animal and communicate with your little kid,training his oral communication ability and logical thinking ability.